Getintothis has been an admirer of all things Bido Lito! 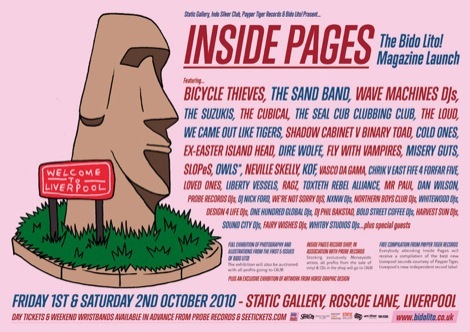 since we first set eyes on those pink pages, so when the idea was discussed with editor Craig Pennington (check our chat with him here) to join forces over Liverpool Sound City 2011 it was always a goer. Here’s their preview for day one… And check back for some reviews from their team along the way. After all the months of expectation and excitement, Sound City is finally here, and day one is kicking things off with a bang. 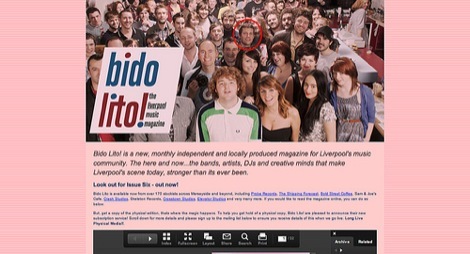 Grab a copy of your Liverpool Sound City Daily Bido Lito! 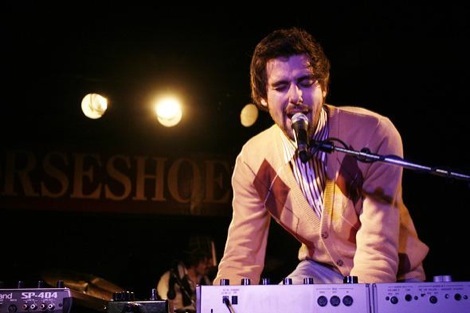 now to read some exclusive interviews with tonight’s headliners, including a feature on indie shoegazers Yuck, and Q&As with Steve Mason and Frankie & The Heartstrings. In there you’ll also find full listings for all 3 days and important festival information. Below the top line there is a raft of stellar acts that we’re particularly looking forward to catching. Country-folk troubadour Frank Turner makes a welcome return to Liverpool when he plays the Crypt Hall tonight (10.05pm), with songs from forthcoming album England Keep My Bones likely to dominate his set of road-weary anthems. Preceding him at the same venue, Montreal’s Handsome Furs have a keen ear for melody and are currently promoting third album Sound Kapital. The husband and wife duo, onstage at 8.30pm, continue to make a sound bigger than the sum of its parts, with their singalong choruses evoking the spirit of U2 and Pet Shop Boys. Dinosaur Pile-Up will be stomping down memory lane from 10.45pm with their blast of plaid-shirted grunge keeping the Masque Loft rocking ’til well past evensong. And with Dutch Uncles making the short trip down the East Lancs, with debut album Cadenza and some Foals-esque tricky twists in their back pockets, the Zanzibar will also prove to be a sweaty hive of activity. 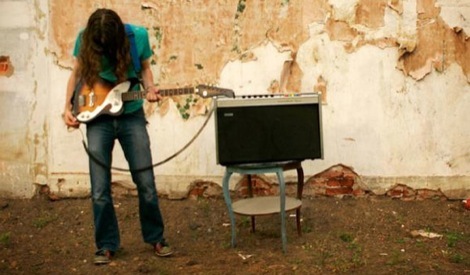 The night’s stand out showcase takes place @ the Masque Theatre, with Steve Mason joined by a host of local wavemakers, The Sand Band, Dan Croll, Luke Fenlon, Wicked Whispers and Billie Van. If you’re gonna hole up in one place then this is the place to be, running from 7pm ’til just after midnight. 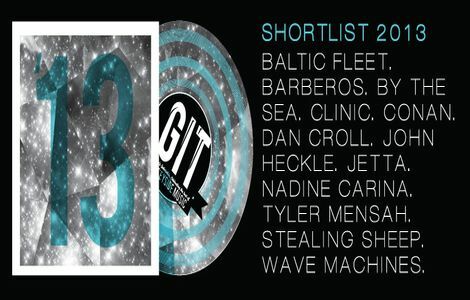 Getintothis and Bido Lito! 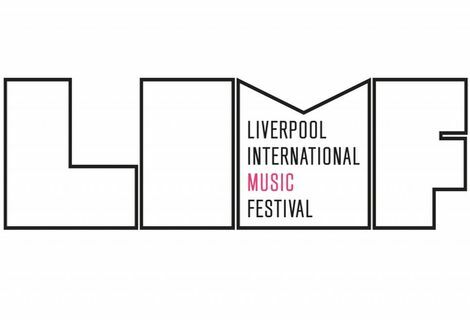 host Liverpool International Music Festival 2013 stage LIMF 2014: By The Sea, Baltic Fleet & more set for Getintothis & Bido Lito! stage in Sefton Park GIT AWARD 2013: People’s Choice in association with Bido Lito!, LFC, Seven Streets and Juice FM Craig G Pennington, editor of Bido Lito! Magazine Liverpool Sound City: Day Two preview plus Getintothis showcase gig at Bombed Out Church Liverpool Sound City: Wolf Gang, Said The Whale, Smoke Fairies, Dinosaur Pile-Up: Mojo, Shipping Forecast, Leaf, Masque Liverpool Sound City 2012: Bang On, Thunderbird Gerard: The Kazimier, Liverpool WIN! 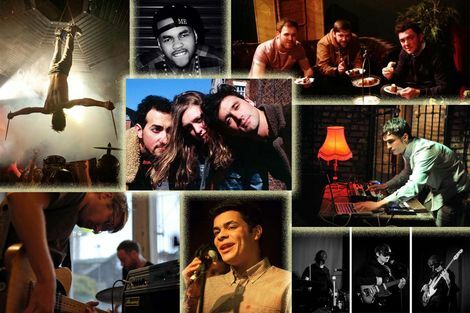 Liverpool Sound City wristbands and extra festival swag in the Getintothis well boss Sound City competition of the week!